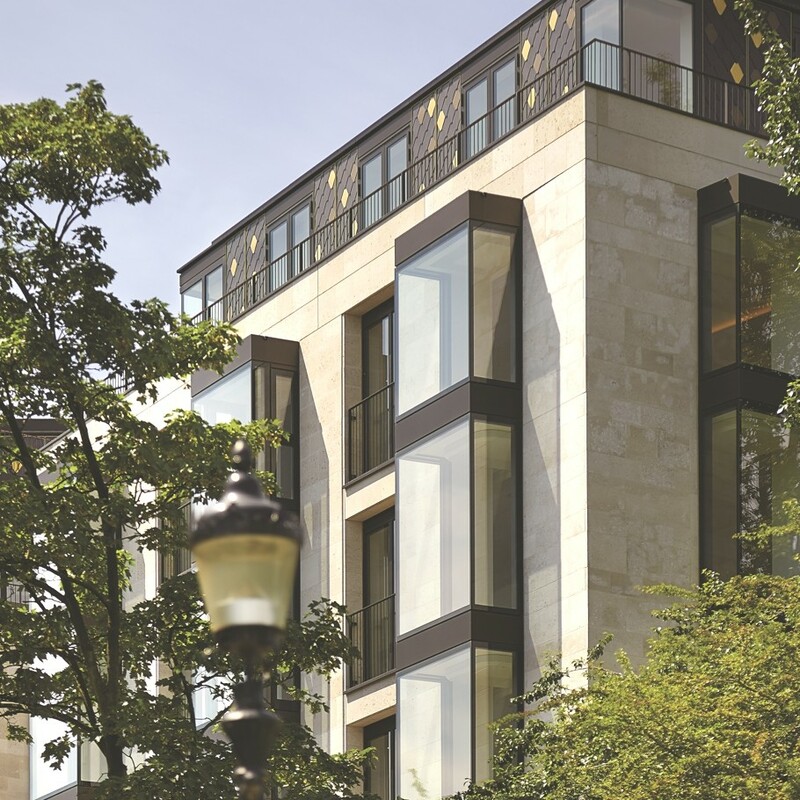 London-based architectural practice Squire and Partners has designed the 50 St Edmund’s Terrace project. Completed in 2015, the luxury new show apartments and entrance lobby have been unveiled to potential purchasers. 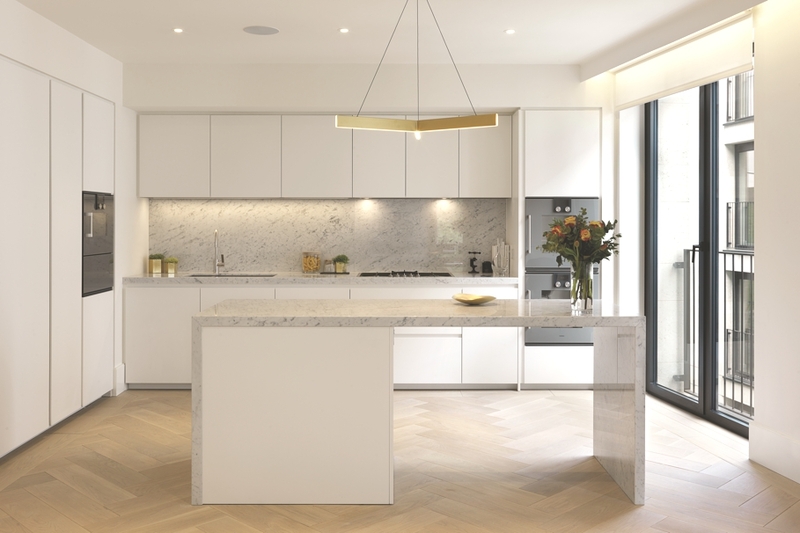 50 St Edmund’s Terrace is located in the heart of Primrose Hill, London and is one of the first new build schemes to be built directly overlooking Regent’s Park in many years. CIT Group an independent private equity real estate business is the mastermind behind the project who are also behind the GLA headquarters building at More London, South Bank Tower and Abbey House on Baker Street. 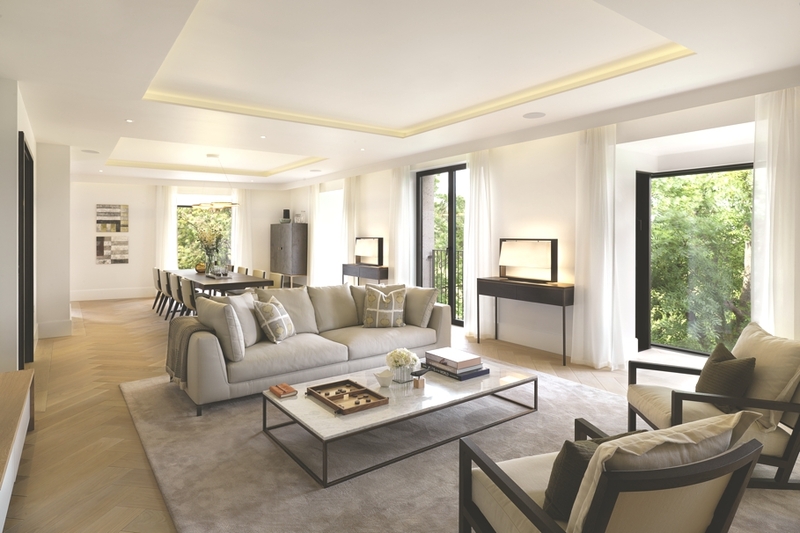 St Edmund’s Terrace comprises 36 one to four bedroom apartments and penthouses and a separate two bedroom townhouse. 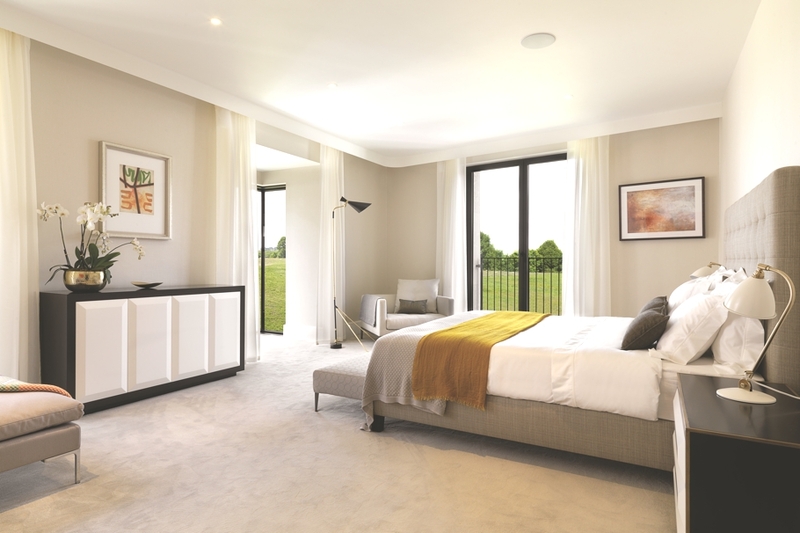 Set across three low rise blocks, each home has been designed to maximise the views of Regent’s Park and the landscaped gardens. 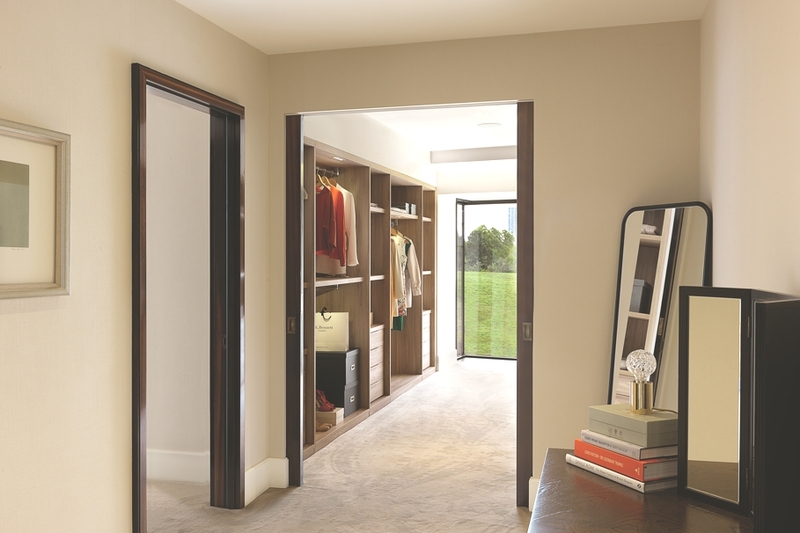 All the flats boast spacious living spaces filled with natural light and come with private balconies, terraces or gardens. 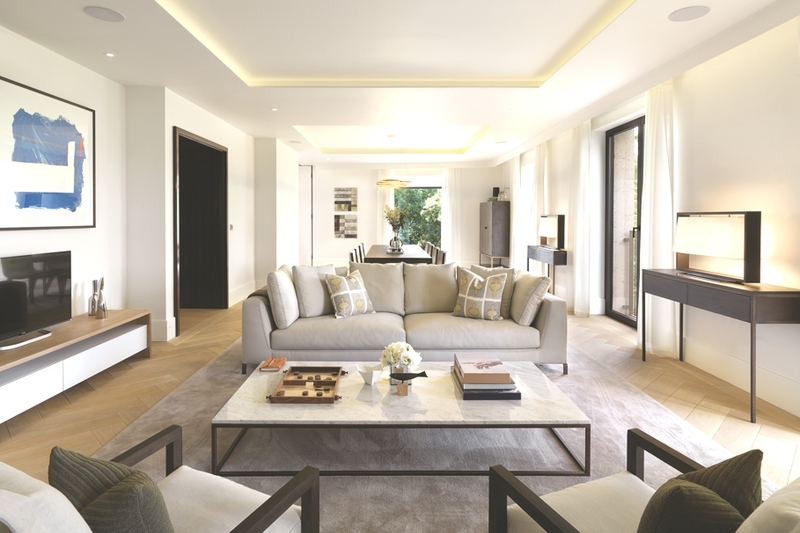 Appealing to a variety of buyer’s tastes, one apartment offers an understated elegance and uses a neutral colour palette and natural materials including Carrara marble, walnut, smoked oak and leather to complement the far reaching views across the green spaces of Primrose Hill, Regent’s Park and the City. The second luxury London apartment features a more modern aesthetic with a vivid colour scheme of greens, yellows and oranges enriched by darker tones of bronze, grey and black. Pieces such as a sculptural concrete table, metal spiral chandelier and aluminium sideboard add a more contemporary industrial edge to the apartment’s peaceful setting. 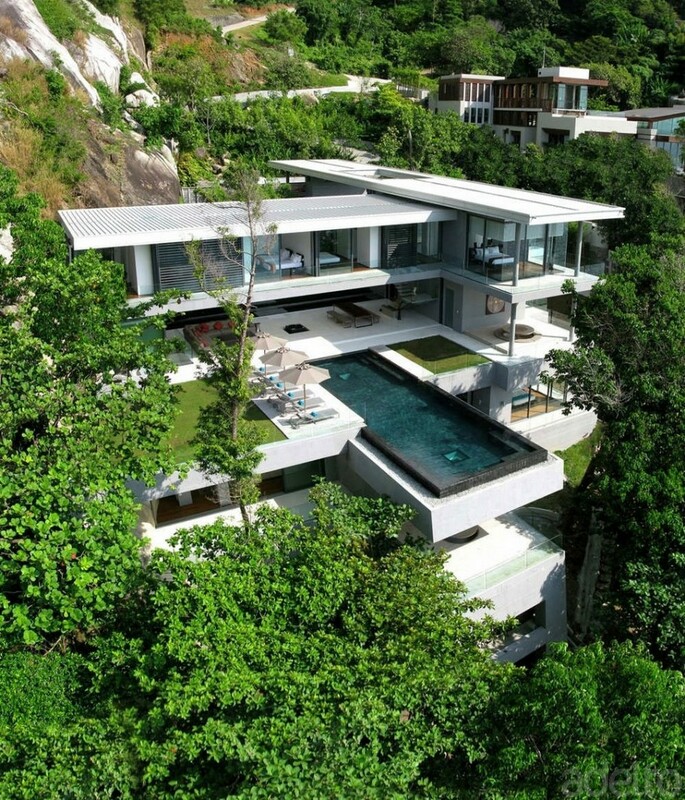 The architecture and interiors were designed to blend into the area’s surroundings. 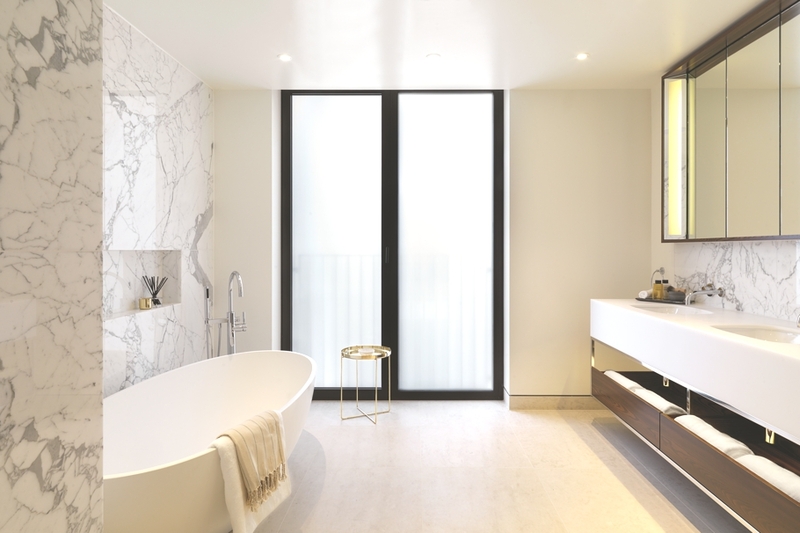 Inspired by nature, the interior design incorporates materials such as black granite, bronze and green onyx and Statuario marble in the kitchens and bathrooms. 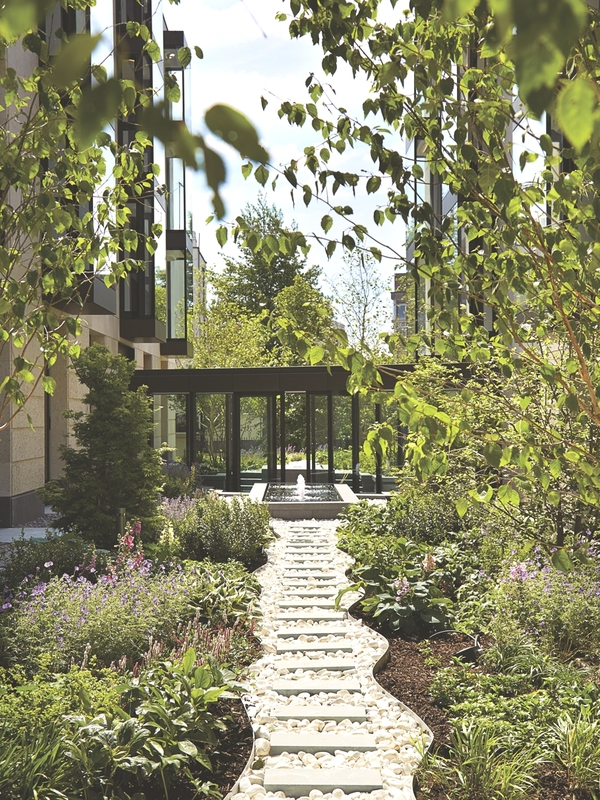 The luxury Primrose Hill property boasts two gardens between three blocks, which were all landscaped by London-based Scape Design Associates, who used thyme, lavender and rosemary, including water features and glass walkways to appeal to the all three human senses of sight, smell and sound. 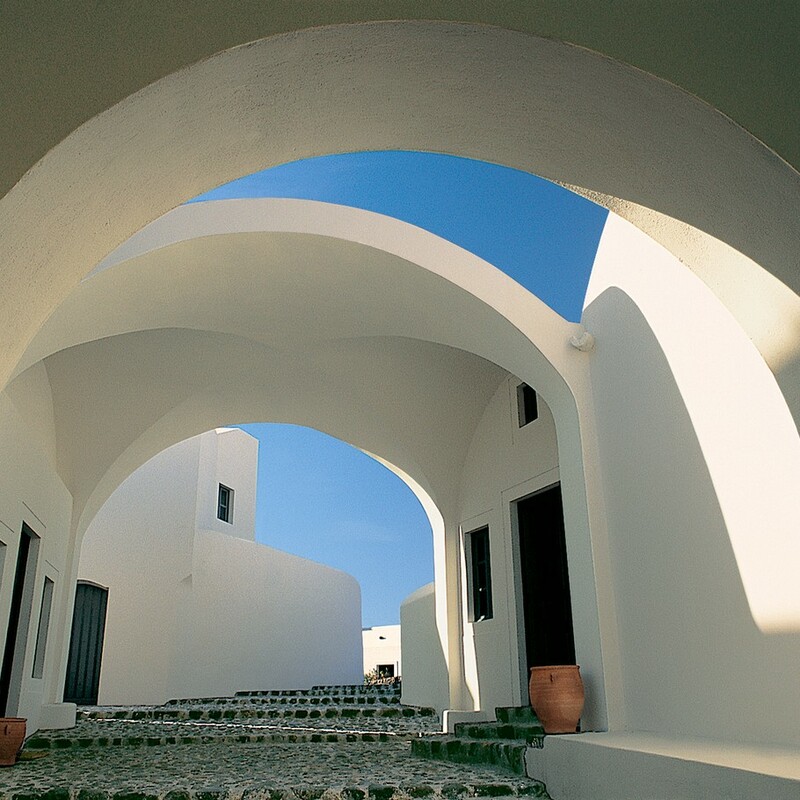 Vedema Resort, Santorini’s most deluxe hotel is a world into itself surrounded by a wall like a fortified town. The Resort’s buildings are designed around a beautiful 15th-century winery. A member of “The Luxury Collection” of Starwood Hotels & Resort, that provides every luxury and an impeccable quality of service.